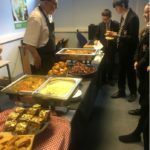 Dinnington High School’s catering service has been awarded a prestigious food standards award, the Food For Life Served Here, Silver Award, for the second year running. 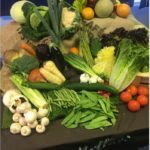 The award, which is part of an initiative by the Soil Association, recognises Mellors Catering, the school’s catering provider, and the school’s dedication to providing students with lunches that reach, and go beyond, the national school food standards. Receiving the award celebrates the caterer’s commitment to creating healthy, tasty and nutritious meals for the whole school to enjoy. The requirements of the award also focuses on transforming food culture and reconnecting students with food through learning how food is grown, how it is cooked and understanding the importance of well-sourced ingredients. The school was re-credited with the award following an intense four-hour audit by the Soil Association. 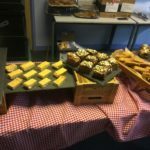 To receive the Food For Life Served Here award Dinnington High School has created an excellent menu with a wide variety of options that cater to all tastes, cultural needs and dietary requirements. The menu has a strong focus on well-sourced ingredients which includes at least 5% organic produce and Red Tractor Farm Assured meat. Following the rigorous inspection, The Food For Life auditor was so impressed with the school’s meals and their dedication to meeting the required standards that they chose to stay and enjoy lunch at the school. 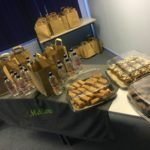 As well as creating an excellent, varied menu Dinnington High School has also committed to improving food education sessions for pupils, staff and the wider school community. This focus is part of the requirements for the school to achieve the higher silver award. The catering manager at Dinnington High School, Kevan Bell, has worked closely with Mellors’ head of Nutrition and Food Development to ensure all the criteria to achieve the silver award was met. To highlight the importance of the award to students across the school a celebration day was held. 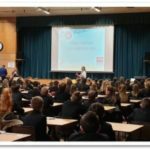 The day included a year group assembly, to thank students for their feedback in developing the school menu and a parent and carer drop-in session to introduce prospective Year 6 students from the local area to the school’s catering. 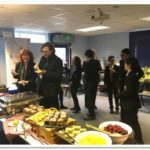 Students from across the school were also invited to attend a lunch time food festival with free samples, a guest chef, competitions and goodie bags. The celebration day promoted the importance of the school supporting the programme.